Bus operators are starting to stand up and take notice as authorities ramp-up enforcement of chain of responsibility laws. Prior to 2003, any on-road incident would usually place the blame and any legal liability at the feet of the driver. Until transport legislators drew a line in the sand to recognise that other contributing factors, including influencing parties, can be partially or wholly responsible. Since this change, owners and principal operators can face criminal conviction and serious financial penalties either for the company, the individual or both – under the NHVL and Compliance and Enforcement Act . The concept known as Chain of Responsibility embedded in national laws applies across all state jurisdictions, with minor variations in Tasmania, Western Australia and South Australia. Chain of Responsibility Management Systems Australia (CoR) founder and principal Graham Bladon says unfortunately, legislators have not offered any great detail or helped operators to understand its far reaching implications for the bus industry. "The bus and coach industry has, to a large degree been ignored and only been privy to the most basic headlines at best," he says. The legislation was put in place for all the right reasons, but government authorities have left it up to individual transport operator to interpret, educate everyone in the chain and meet all compliance requirements as best they can. Bladon and his colleagues have been conducting chain of responsibility awareness programs for industry for years and he is often consulted and widely-regarded as an authority on the subject. "I’ve been able to help key operators in the bus and coach industry to understand chain of responsibility and guide them on key issues that will determine whether their operation is compliant," Bladon says. "Even if you sit down and read the legislation, the devil in the detail could well prove to be your undoing." 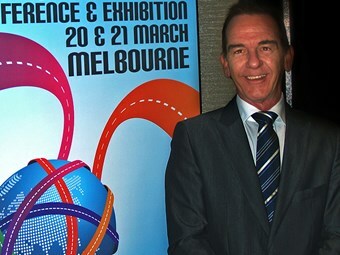 Australian Public Transport Industrial Association (APTIA) National Industrial Relations Manager Ian McDonald says although no Chain of Responsibility legislation has been created for bus operators, existing driver and operator accreditation criteria already require them to have a robust safety management framework in place. "Chain of Responsibility legislation created a new single regulator for the trucking industry. It applied to freight but not to carriage of passengers," he says. The bus industry is heavily regulated due to the fact they are transporting people and providing a public service. "Unlike the trucking industry, most bus operators are bound by strict government contracts which place safety and responsibility at the forefront of key performance indicators," McDonald says. "New South Wales and Victorian bus operators are required to have accreditation, just to allow them to operate services. "Accreditation requires that bus operators must have in place significant safety management systems. While Chain of Responsibility is becoming more important than ever, the bus industry seems yet to be convinced of the need for even more regulation in this already crowded safety management space.